54 yr M, homeless patient with HF due to alcohol with EF of 30 % admitted for elevated BP of 209/100. He also admits to significant smoking. He also reports being ill for about a week with flu like symptoms, before acutely feeling sick for which he came to ER. He mentioned of some cough on questioning, but did not have any sputum production. T Max of 104 is noted in ER. HR: 110. RR 22. O2 saturation 96 % in room air. Coarse breath sound is heard. CXR shows some mild infiltration in RUL. Pneumonia is suspected, and PSI is 104. Patient is started on Vancomycin and Zosyn for board coverage including for CAP. What should be the next best step in management. Active TB does not acutely present with very high fever, and rapid clinical presentation of few days. While checking for TB, and isolation are not an error, it is not the next best step in this patient. If Pseudomonas is a suspected cause for CAP which given the history of alcohol, then double coverage is needed given the risk of resistance. Hence, Levofloxacin should be added. Doing Legionella Ag test is very important. While current abx regimen would cover for Pneumococcal pneumonia (and given the risk of resistance, does appropriately double cover for severe pneumonia even though guidelines do not mention of the same), it does not cover for Legionella. Levofloxacin empirically would cover for Legionella. If Legionella test is positive, then perhaps addition of Azithromycin would suffice. Note: Legionella needs antibiotic with good intracellular penetrateion. 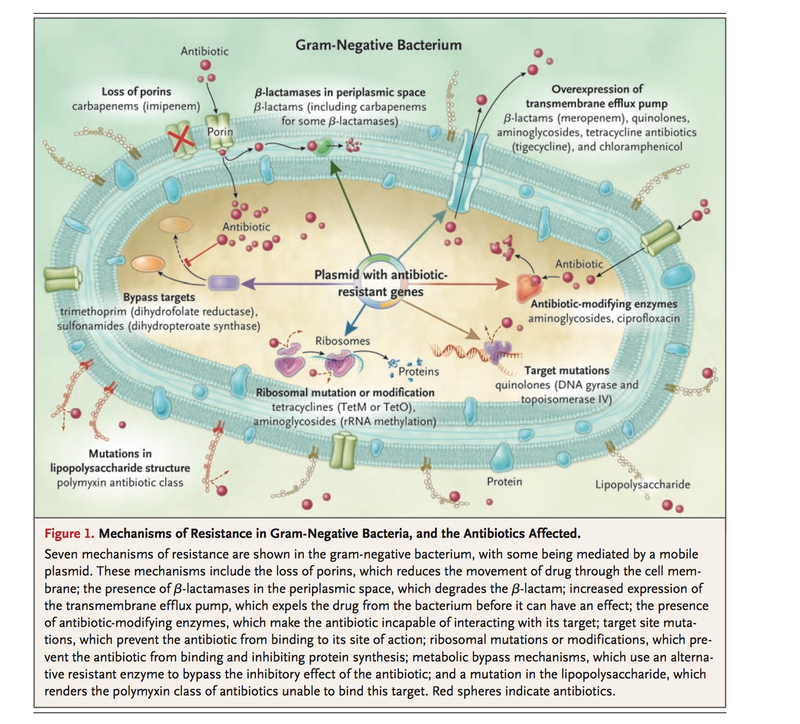 Aerobic gram-negative bacilli that do not grow on routine microbiologic media. Buffered charcoal yeast extract (BCYE) agar is used. Legionnaires’ disease or pneumonia. Legionnaires’ disease was first recognized in 1976, when an outbreak of pneumonia took place at a Philadelphia hotel during an American Legion convention. Drinking-water systems in hospitals and extended-care facilities have been the source for infection. Legionella is responsible for 10–50% of cases of nosocomial pneumonia. Attachment to host cells is mediated by bacterial type IV pili, heat-shock proteins, a major outer-membrane protein, and complement. Because the organism possesses pili that mediate adherence to respiratory tract epithelial cells, conditions that impair mucociliary clearance, including cigarette smoking, lung disease, or alcoholism, predispose to Legionnaires’ disease. Immunized animals develop a specific antibody response, with subsequent resistance to Legionella challenge. However, antibodies neither enhance lysis by complement nor inhibit intracellular multiplication within phagocytes. Fever is almost universal. In one observational study, 20% of patients had temperatures in excess of 40°C (104°F). CAP: Legionella among the top four microbial causes of community-acquired pneumonia, finding that it accounts for 2–13% of cases. (Streptococcus pneumoniae, Haemophilus influenzae, and Chlamydia pneumoniae are usually ranked first, second, and third, respectively). Per CDC's once estimate, only around 3 % 3% of community-acquired cases of Legionnaires’ disease are diagnosed. Legionnaires’ disease is often included in the differential diagnosis of “atypical pneumonia,” along with pneumonia due to C. pneumoniae, Chlamydia psittaci, Mycoplasma pneumoniae, Coxiella burnetii, and some viruses. The clinical similarities among “atypical” pneumonias include a nonproductive cough with a low frequency of grossly purulent sputum. The clinical manifestations of Legionnaires’ disease are usually more severe than those of most “atypical” pneumonias - closely resemble those of bacteremic pneumococcal pneumonia than those of pneumonia due to other “atypical” pathogens. Patients with community-acquired Legionnaires’ disease are significantly more likely than patients with pneumonia of other etiologies to be admitted to an intensive care unit (ICU) on presentation. Relative bradycardia has been overemphasized as a useful diagnostic finding; it occurs primarily in older patients with severe pneumonia. Rales are detected by chest examination early in the course, and evidence of consolidation is found as the disease progresses. Abdominal examination may reveal generalized or local tenderness. In a review of 13 studies of community-acquired pneumonia, clinical manifestations that occurred significantly more often in Legionnaires’ disease included diarrhea, neurologic findings (including confusion), and a temperature of >39°C. Hyponatremia, elevated values in liver function tests, and hematuria also occurred more frequently in Legionnaires’ disease. Other laboratory abnormalities include creatine phospho­kinase elevation, hypophosphatemia, serum creatinine elevation, and proteinuria. Virtually all patients with Legionnaires’ disease have abnormal chest radiographs showing pulmonary infiltrates at the time of clinical presentation. Retrospective uncontrolled studies have shown that complications of pneumonia are fewer and clinical response is more rapid in patients receiving quinolines than in those receiving macrolides. combination regimens of azithromycin, a quinolone, and/or rifampin. This practice is empirical and is not supported by comparative studies. A longer course of therapy (3 weeks) may be appropriate for immunosuppressed patients and those with advanced disease. For azithromycin, with its long half-life, a 5- to 10-day course is sufficient. Legionellosis is a nationally notifiable disease in the United States that is monitored through two surveillance systems at the national level. With improved diagnosis and reporting, public health experts can better understand the true burden of legionellosis. Escherichia coli, Klebsiella, Proteus, Enterobacter, Serratia, Citrobacter, Morganella, Providencia, Cronobacter, and Edwardsiella, Salmonella, Shigella, and Yersinia. 35 yo F who has been hospitalized for > 1 month duration including ICU stay, and has an IV access that is the only IV line gets ill. Blood cultures are drawn, and shows grows Enterobacter Cloacae with following sensitivity. What is the major concern during treatment for Enterobacter infection. Ampicillin and first- and second-generation cephalosporins have little or no activity. Extensive use of third-generation cephalosporins can induce or select for variants with stable derepression of AmpC β-lactamase, which confers resistance to these agents as well as monobactams (e.g., aztreonam) and—in many cases—β-lactam/β-lactamase inhibitor combinations. Resistance may emerge during therapy; in one study, this phenomenon was documented in 20% of clinical isolates. 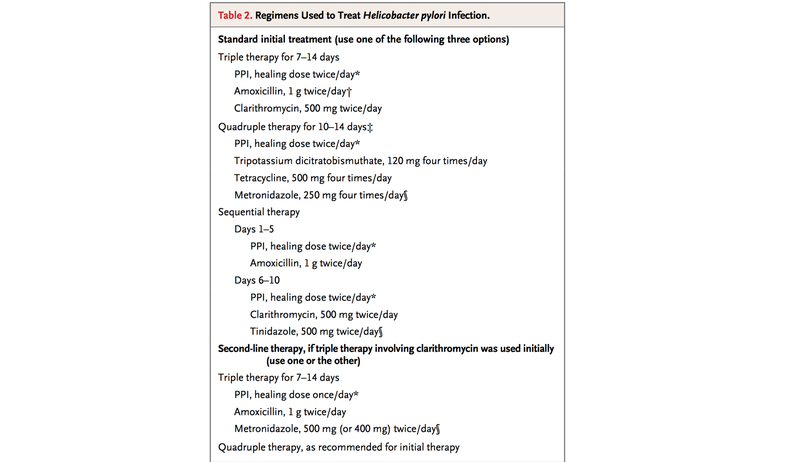 De novo resistance should be considered when clinical deterioration follows initial improvement, and third-generation cephalosporins should be avoided in the treatment of serious Enterobacter infections. Cefepime is stable in the presence of AmpC β-lactamases; thus, it is a suitable option for treatment of Enterobacter infections so long as no coexistent ESBL is present. Detection of ESBLs in Enterobacter is difficult because of the presence of AmpC β-lactamase; nonetheless, their prevalence (particularly in E. cloacae) is known to be variable worldwide but is generally increasing and is now 5–50% overall. Fortunately, carbapenems, amikacin, and tigecycline have generally retained excellent activity (90–99% susceptibility) and fluoroquinolones have good activity (85–95% susceptibility). Once susceptibility data become available, it is critical to de-escalate the antimicrobial regimen whenever possible. 57 yo F is admitted for fever. Patient has LLE cellulitis. Blood culture comes positive. Details below. What is the classification of Carbapenemase. ? What is the mechanism for KPC? Klebsiella pneumoniae carbapenemase (KPC): polymyxin-colistin or tigecycline. In our cx/sx, KPC was resistant to colistin, but was sensitive to tigecyclin. 73 y/o F admitted in hospital for 15 days starts to have fever. Vanc, Cefepime are started. UA, CXR, Blood Culture is drawn. Blood Culture grows Acenatobacter buumannii / hemolyticus group. How will you adjust the abx regimen other than discontinuing Vanc and Cefepime? Add Both Ampicillin / Sulbactum and Meropenam. Also, consider adding Gentamicin i.e Amikacin. Drug resistant to various carbapenam may vary. Carbapenamase is not uncommon. 47 y/o F is seen in the clinic for complaint of Abdominal Discomfort. Has never been diagnosed before, or treated. Resident physician wants to know what should we "test and treat"? If yes, what test to order? Note: Patient is not on any PPI. 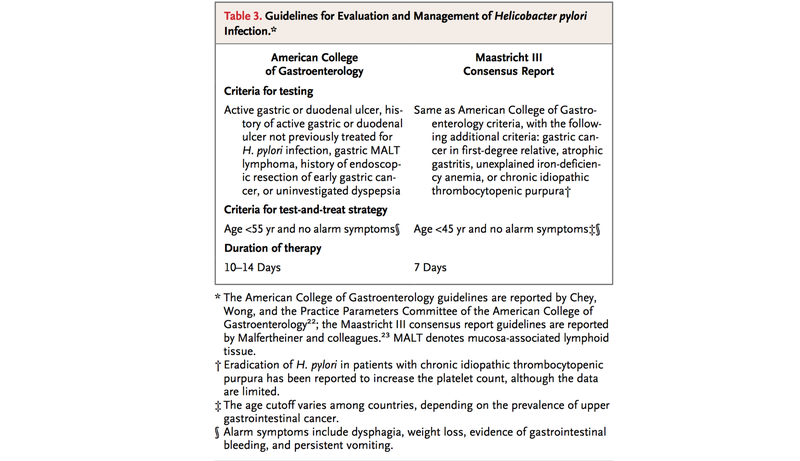 We could do H.Pylori serological test (if patient has never been treated before). It is the least expensive test, and is widely available. H. Pylori Ab test is ordered. It came negative, how to interpret this result? 63 y/o F is seen in the clinic for complaint of epigastric and RUQ abdominal discomfort of 1 month. She carries a diagnosis of PUD. Not on NSAIDs. Never been tested or treated for H. Pylori. H. Pylori Ab is done, and it comes positive. How would you treat? Do you need to do follow up test? What test to use for follow up? Note: Patient is on omeprazole 40 mg daily for last 3 months.